Smugglers increasingly take advantage of island’s partition and proximity to Middle East. When Rubar and Bestoon Abass embarked on their journey to Europe they had no idea that Cyprus was the continent’s easternmost state. Like most Iraqi Kurds heading west, their destination was Germany, not an EU nation barely 100 miles from war-torn Syria. Cyprus is in the midst of a burgeoning migrant crisis as smuggler networks take advantage of the Mediterranean island’s partition and proximity to the Middle East. As in Greece, when Europe’s refugee crisis erupted with Syria’s descent into civil war, support groups have rushed to deal with the social ailments that have arisen with the influx. The island has exceeded every other EU member state in asylum claims in 2018, recording the highest number per capita with almost 6,000 applications for a population of about 1 million. By August requests were 55% higher than for the same eight-month period in 2017, a figure itself 56% higher than that for 2016, according to the interior ministry. With the country’s asylum and reception systems vastly overstretched, alarmed officials have appealed to Brussels for help. Rubar and Bestoon arrived with their two children in August. Like the ever-growing number of Syrians also heading here from overcrowded camps in Turkey and Lebanon, the couple landed in Northern Cyprus, the self-styled state acknowledged only by Ankara in the 44 years since Turkish troops invaded and seized over a third of the island’s territory. They then took the increasingly well-trodden route of sneaking across the dividing buffer zone into the internationally recognised Greek-controlled south. Stretching 112 miles across Cyprus, the UN-patrolled ceasefire line offers innumerable blind spots for those determined to evade detection. Illicit crossings from the north have made Cyprus’ woes much worse. Reports have increased in recent months of irregular migrants flying into Ercan airport in the Turkish-controlled breakaway state. Hamstrung by politics, not least Turkey’s refusal to recognise the government in the southern part of Cyprus since its 1974 invasion of the island, authorities are unable to send them back. With international agencies focusing almost entirely on sea arrivals, the real number of migrants on the island has been hugely underestimated, charities say. “We are a humanitarian organisation that addresses poverty, hunger and homelessness and we are seeing across-the-board increases in them all,” Kassinis said. A backlog of 8,000 asylum claims has amassed as authorities struggle to cope with the flows, according to the UN refugee agency, UNHCR. 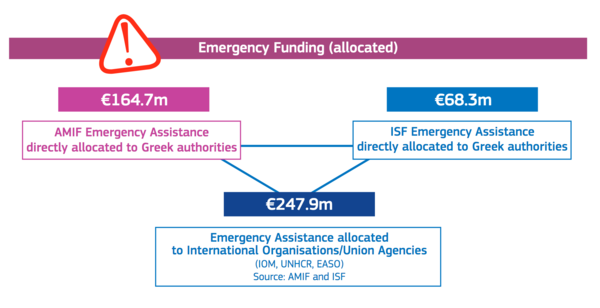 “We’re talking about a process that can take up to five years and an extremely high number of people waiting for final decisions to their claims,” said Katja Saha, the agency’s representative in Nicosia. As numbers grow, pressure on the island’s two state-run camps has become immense and asylum seekers are expected to find private accommodation after 72 hours. 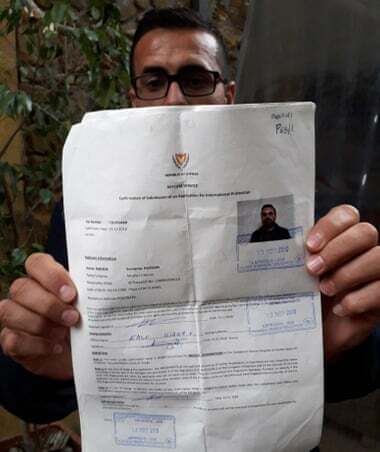 For most that is nearly impossible when rent allowances are little more than €100 (£90) per person a month and employment is limited to manual work such as car washing and farm labour, Saha said. There are fears the drama being played out in the eastern Mediterranean will get a lot worse if the situation in Syria deteriorates further and war extends to Idlib, the country’s last rebel stronghold. A Turkish-Russian ceasefire deal is currently sustaining a fragile peace in the province. Cyprus had been spared the refugee crisis until this year as most Europe-bound asylum seekers headed for Greece and Italy instead. As elsewhere in Europe the island is not immune to hostility toward the new arrivals. 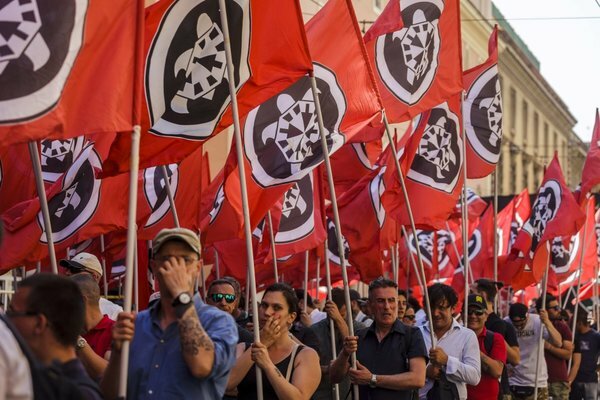 Far-right groups coalescing around the ultranationalist ELAM party have gained increasing popularity as the issue provides fodder for their approval ratings ahead of European parliamentary elections next year. 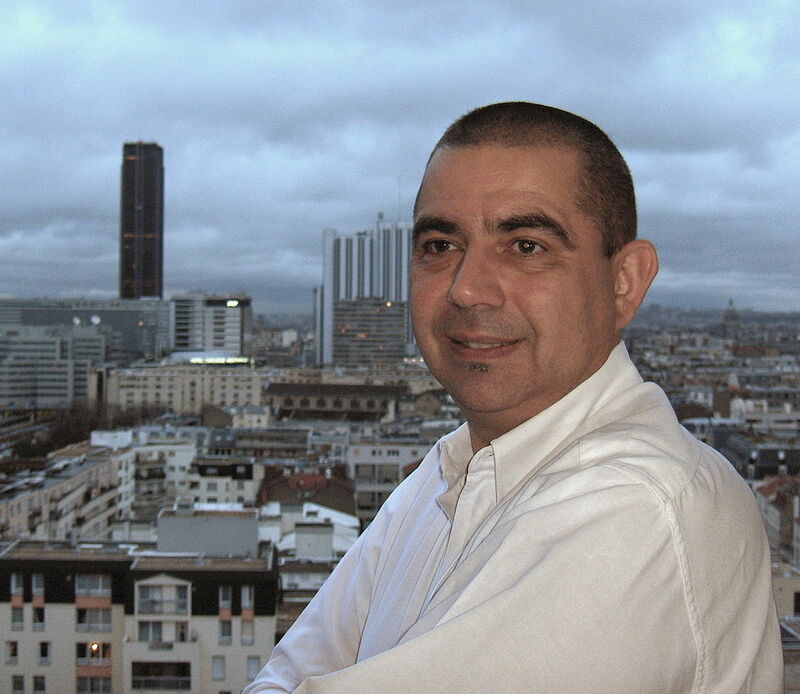 ￼Olivier Delorme : Nullement. 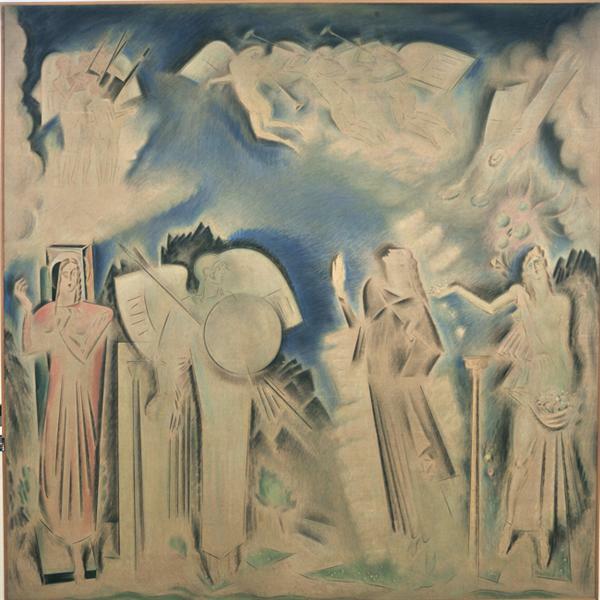 En réalité, la guerre est impossible en Europe dès lors que les États-Unis d’Amérique en 1945, puis l’Union soviétique en août 1949, ont acquis l’arme atomique. En effet, au mois d’avril de cette même année 1949, dix États européens de l’Ouest se sont liés au Canada et aux États-Unis par le pacte d’assistance mutuelle qu’on appelle l’Alliance atlantique, tandis que des troupes soviétiques stationnent dans la plupart des États d’Europe de l’Est qui formeront le Pacte de Varsovie en 1955. Dès lors, les deux Grands peuvent, en Europe, se jauger, se gêner, mais pas provoquer une remise en cause de l’équilibre qui dégénérerait en conflit nucléaire, puisque chacun considère son “glacis européen” comme faisant partie de ses intérêts vitaux. C’est l’équilibre de la terreur, et rien d’autre, qui assure la paix en Europe après 1945. 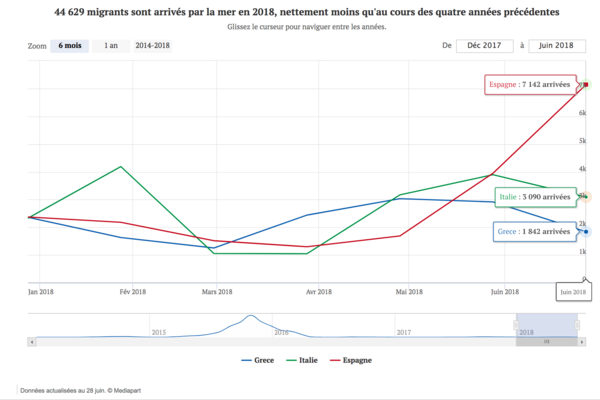 Je commence ici un fil sur les statistiques #2018 des arrivées de migrants par la mer en Italie. Dall’inizio dell’anno ad oggi sono sbarcati in Italia 16.566 migranti, il 79,07% in meno rispetto allo stesso periodo dell’anno scorso, quando ne arrivarono 79.154. Dai dati del Viminale, aggiornati al 28 giugno, emerge dunque che per il dodicesimo mese consecutivo gli sbarchi nel nostro paese sono in calo: l’ultimo picco fu registrato proprio a giugno dell’anno scorso, quando sbarcarono 23.526 migranti (nel 2016 ne arrivarono 22.339 mentre quest’anno il numero è fermo a 3.136). Dal mese di luglio 2017, che ha coinciso con gli accordi siglati con la Libia dall’ex ministro dell’Interno Marco Minniti, si è sempre registrata una diminuzione. Dei 16.566 arrivati nei primi sei mesi del 2018 (la quasi totalità, 15.741, nei porti siciliani), 11.401 sono partiti dalla Libia: un calo nelle partenze dell’84,94% rispetto al 2017 e dell’83,18% rispetto al 2016. Quanto alle nazionalità di quelli che sono arrivati, la prima è la Tunisia, con 3.002 migranti, seguita da Eritrea (2.555), Sudan (1.488) e Nigeria (1.229). 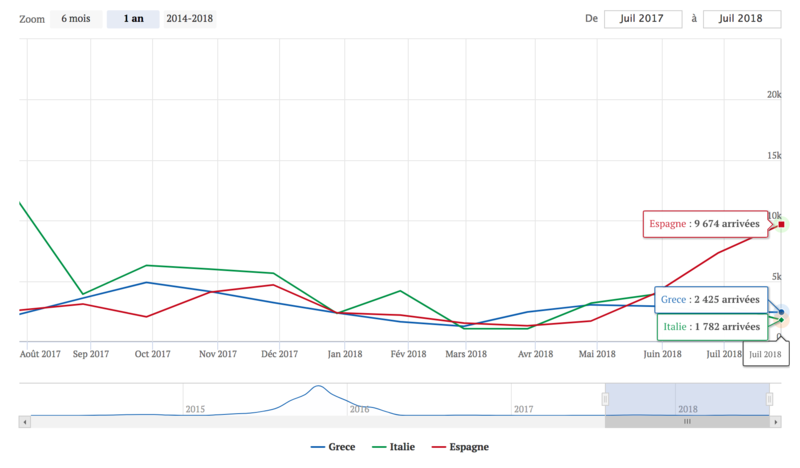 Pour la première fois depuis le début de la crise migratoire en 2014, l’Espagne est, avant l’Italie et la Grèce, le pays européen qui enregistre le plus d’arrivées de migrants par la mer et le plus de naufrages meurtriers au large de ses côtes. 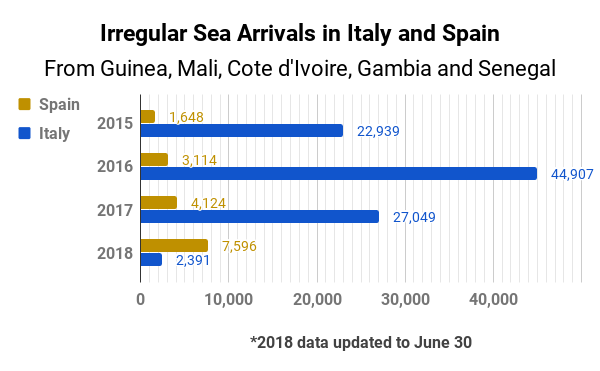 The number of migrants arriving in Italy via the Central Mediterranean route in April fell to about 2 800, down 78% from April 2017. The total number of migrants detected on this route in the first four months of 2018 fell to roughly 9 400, down three-quarters from a year ago. So far this year, Tunisians and Eritreans were the two most represented nationalities on this route, together accounting for almost 40% of all the detected migrants. In April, the number of irregular migrants taking the Eastern Mediterranean route stood at some 6 700, two-thirds more than in the previous month. In the first four months of this year, more than 14 900 migrants entered the EU through the Eastern Mediterranean route, 92% more than in the same period of last year. The increase was mainly caused by the rise of irregular crossings on the land borders with Turkey. In April the number of migrants detected at the land borders on this route has exceeded the detections on the Greek islands in the Aegean Sea. The largest number of migrants on this route in the first four months of the year were nationals of Syria and Iraq. Last month, the number of irregular migrants reaching Spain stood at nearly 1100, a quarter more than in April 2017. 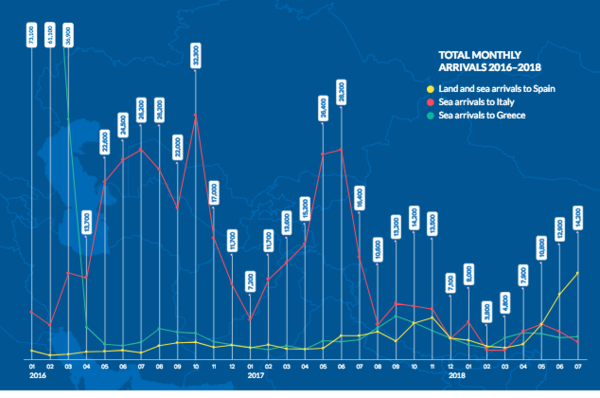 In the first four months of 2018, there were some 4600 irregular border crossings on the Western Mediterranean route, 95 more than a year ago. 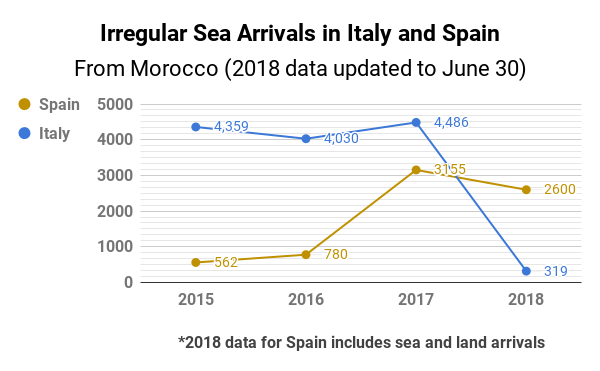 Nationals of Morocco accounted for the highest number of arrivals in Spain this year, followed by those from Guinea and Mali. Frontex chief Fabrice Leggeri has warned that Spain could see a significant increase in migrant arrivals. The news comes ahead of the European Commission’s new proposal to strengthen EU external borders with more guards. Entre janvier et juillet, 62 177 migrants ont rejoint l’Europe par la Méditerranée, selon les données de l’Agence des Nations unies pour les réfugiés. 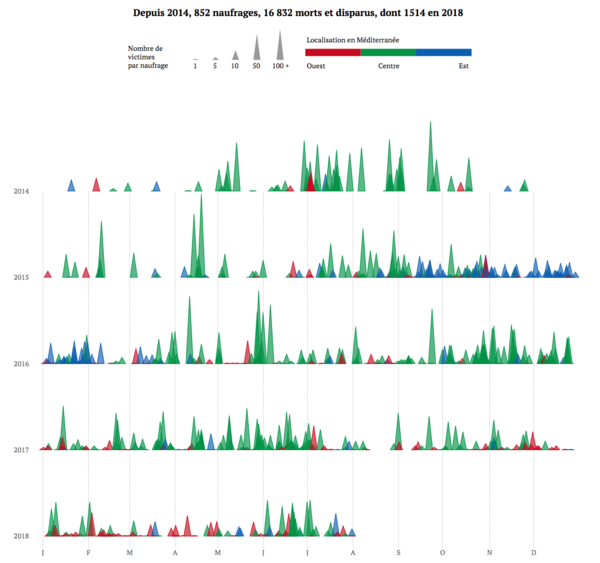 Un chiffre en baisse par rapport à 2017 (172 301 sur l’ensemble des douze mois) et sans commune mesure avec le « pic » de 2015, où 1 015 078 arrivées avaient été enregistrées. 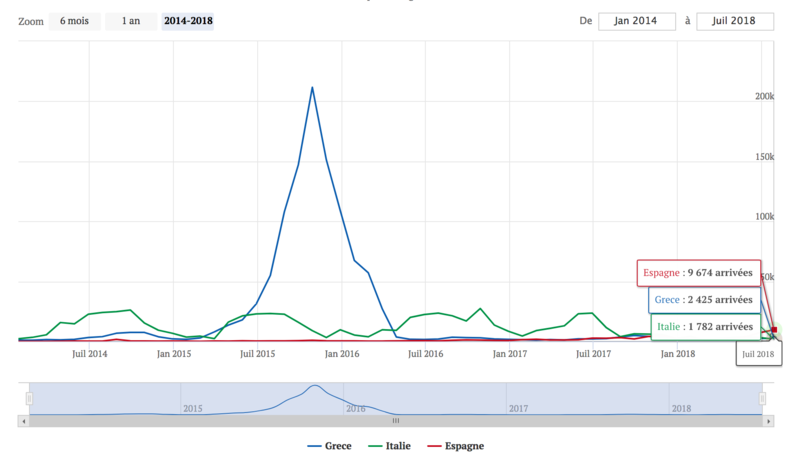 Les flux déclinent et se déplacent géographiquement : entre 2014 et 2017, près de 98 % des migrants étaient entrés via la Grèce et l’Italie, empruntant les voies dites « orientales » et « centrales » de la Méditerranée ; en 2018, c’est pour l’instant l’Espagne qui enregistre le plus d’arrivées (23 785), devant l’Italie (18 348), la Grèce (16 142) et, de manière anecdotique, Chypre (73). 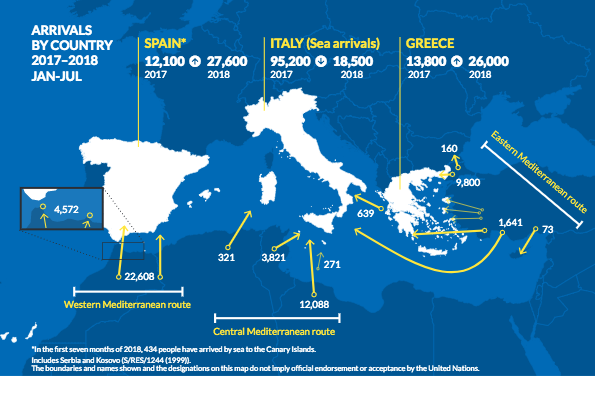 IOM, the UN Migration Agency, reports that 80,602 migrants and refugees entered Europe by sea in 2018 through 23 September, with 35,653 to Spain, the leading destination this year. 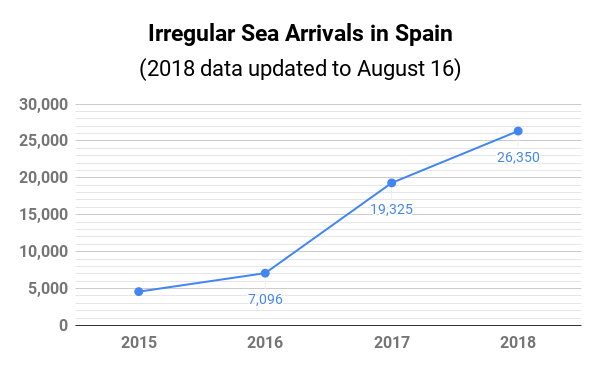 In fact, with this week’s arrivals Spain in 2018 has now received via the Mediterranean more irregular migrants than it did throughout all the years 2015, 2016 and 2017 combined. 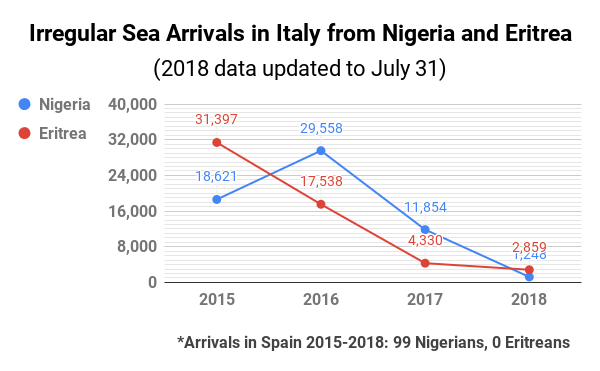 Irregular sea arrivals to Italy have not been this low since 2012. 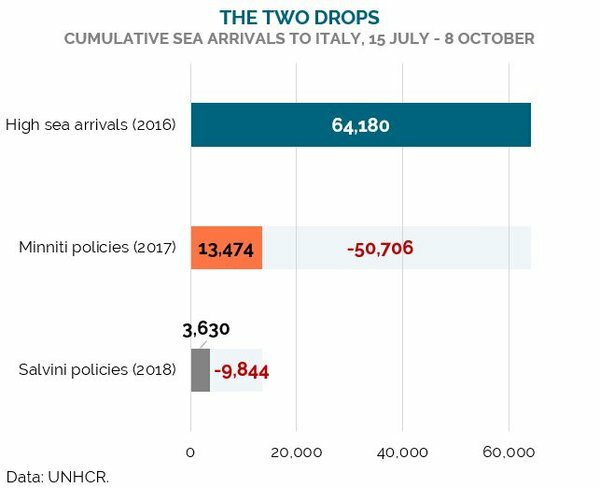 But how do the two “deterrence policies” (#Minniti's and #Salvini's) compare over time? Why start from July 15th each year? That’s when the drop in sea arrivals in 2017 kicked in, and this allows us to do away with the need to control for seasonality. Findings do not change much if we started on July 1st this year. 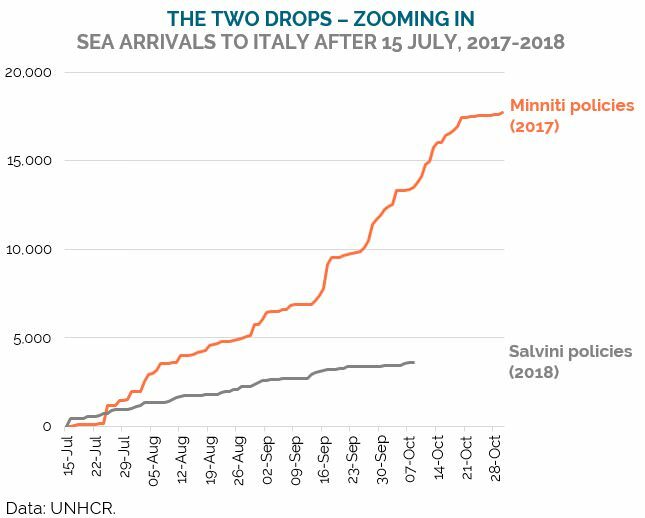 Zooming in, in relative terms the drop in sea arrivals during Salvini’s term is almost as stark as last year’s drop. But looking at actual numbers, the difference is clear. 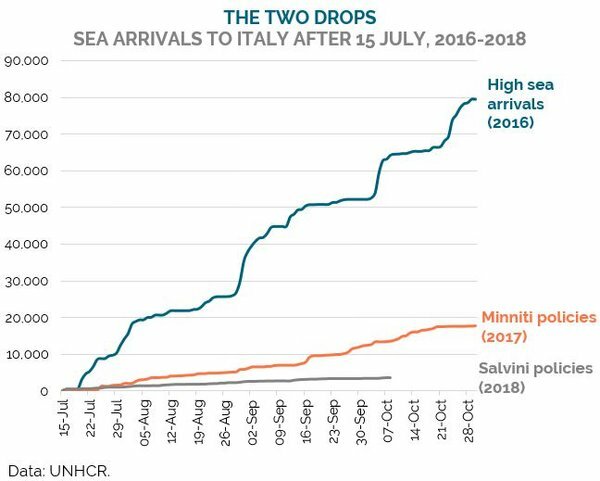 In less than 3 months’ time, the drop in #migrants and #refugees disembarking in #Italy under #Minniti had already reached 51,000. Under #Salvini in 2018, the further drop is less than 10,000. 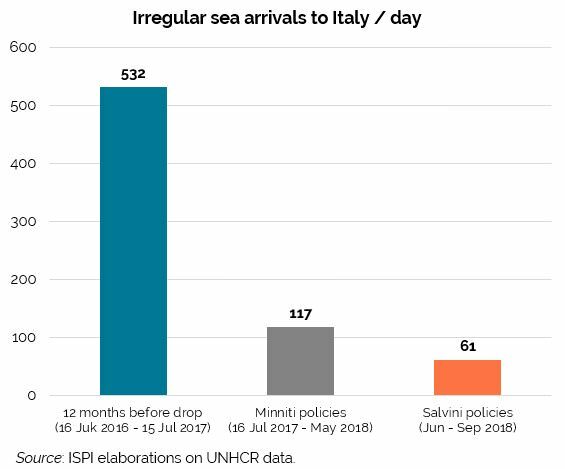 To put it another way: deterrence policies under #Salvini can at best aim for a drop of about 42,000 irregular arrivals in 12 months. Most likely, the drop will amount to about 30.000. Under #Minniti, sea arrivals the drop amounted to 150.000. Five times larger. BOTTOM LINE: the opportunity-cost of deterrence policies is shrinking fast. 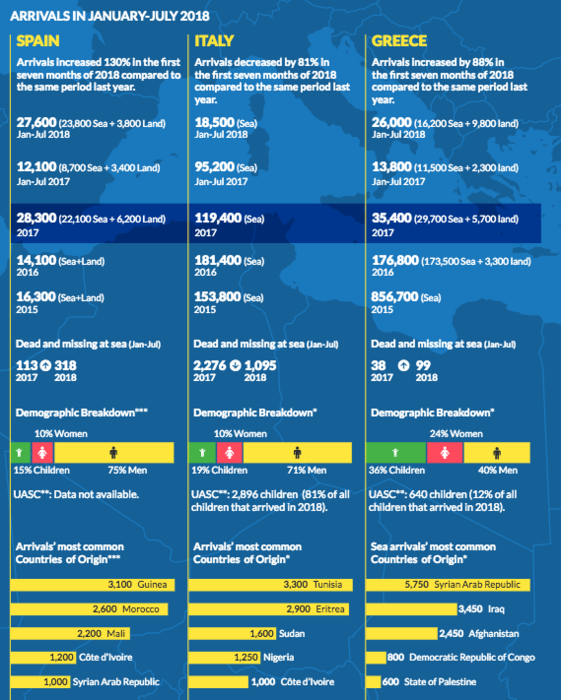 Meanwhile, the number of dead and missing along the Central Mediterranean route has not declined in tandem (in fact, in June-September it shot up). Is more deterrence worth it? Pas moins de 113.482 personnes ont traversé la #Méditerranée en 2018 pour rejoindre l’Europe, une baisse par rapport aux 172.301 qui sont arrivés en 2017, selon les derniers chiffres publiés par le Haut-Commissariat de l’ONU pour les réfugiés (HCR). Toutefois pour l’année 2018, si l’on ajoute près de 7.000 migrants enregistrés dans les enclaves espagnoles de #Ceuta et #Melilla (arrivées par voie terrestre), on obtient un total de 120.205 arrivées en Europe. 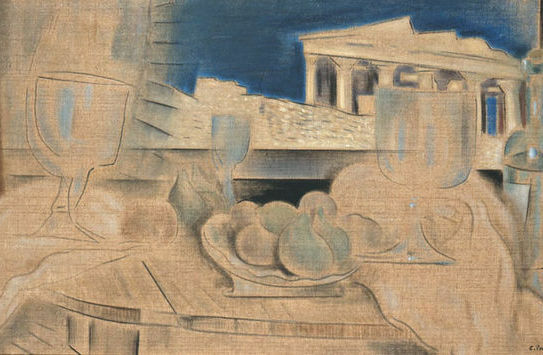 La péninsule ibérique est suivie par la #Grèce (32.497), l’Italie (23.371), #Malte (1.182) et #Chypre (676). 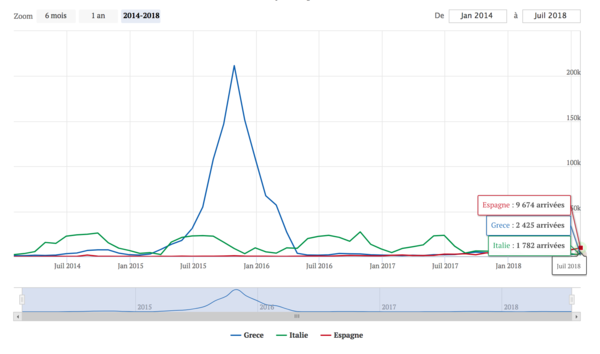 Alors que nous assistons à la mise en scène des « Jeux de la Paix » entre la Corée du Sud et la Corée du Nord, l’Union européenne compte depuis 2004 un pays membre – Chypre - occupé en partie par un pays supposé candidat depuis 2005 – la Turquie. Patrice Gourdin offre ici une analyse géopolitique de ce lieu de tensions en mer Méditerranée. Un texte de référence sur une question souvent méconnue. 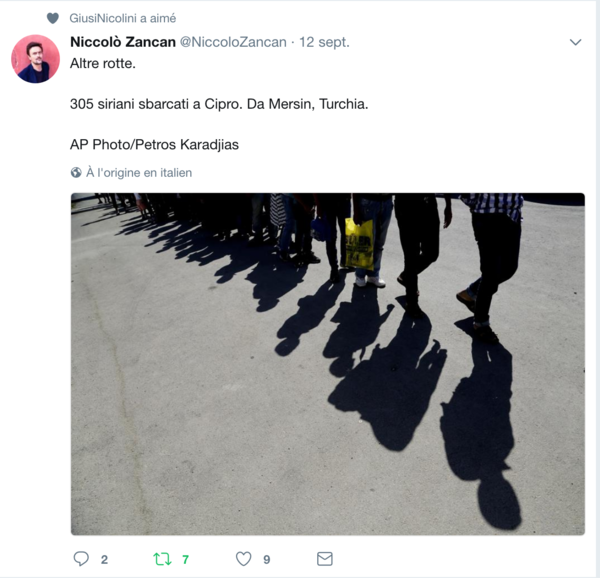 FIN janvier 2018, à Lefkosia (nom turc de Nicosie), à l’instigation du président turc Recep Tayyip Erdogan, des nationalistes ont attaqué le journal Afrika qui avait critiqué l’offensive contre les Kurdes de Syrie (opération Rameau d’olivier) et établi un parallèle avec l’intervention à Chypre en 1974. Cette violence illustre les rivalités qui affligent l’île. Sur le territoire de Chypre, la répartition du pouvoir est complexe : au nord, la #République_turque_de_Chypre_du_Nord-#RTCN, une zone peuplée de Chypriotes turcs, occupée par l’armée turque depuis 1974 ; au sud, un espace contrôlé par la République de Chypre, où le pouvoir est exercé par des Chypriotes grecs. Issues d’un conflit, ces deux entités sont séparées par une zone tampon où se trouve stationnée depuis 1974 une force d’interposition de l’ONU, la Force des Nations Unies chargée du maintien de la paix à Chypre (UNFICYP). Ajoutons qu’après l’indépendance de Chypre en 1960, la Grande-Bretagne a conservé deux bases militaires (Dhekelia, Akrotiri), sur la côte sud. La proximité de cet espace insulaire avec le Proche-Orient contribue à expliquer cet état de fait. Le poids de l’histoire est considérable et plusieurs acteurs extérieurs ont influé ou continuent d’influer sur l’évolution de l’île. 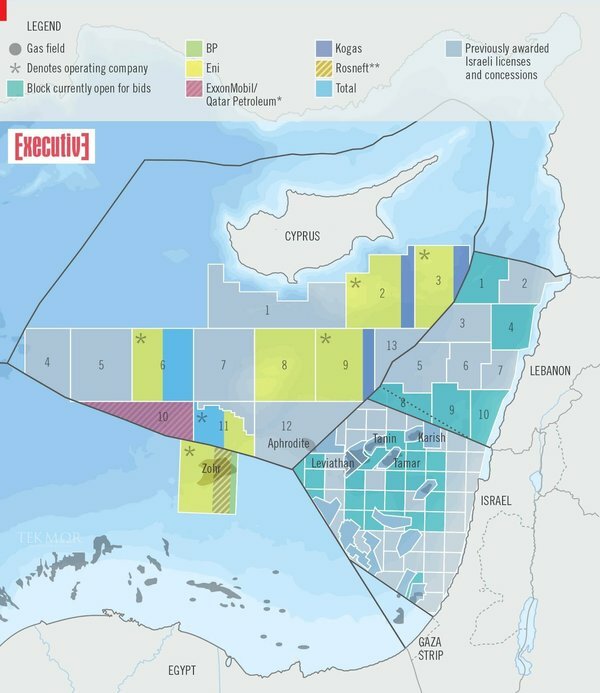 Israel described as “very provocative” on Wednesday a Lebanese offshore oil and gas exploration tender in disputed territory on the countries’ maritime border, and said it was a mistake for international firms to participate. 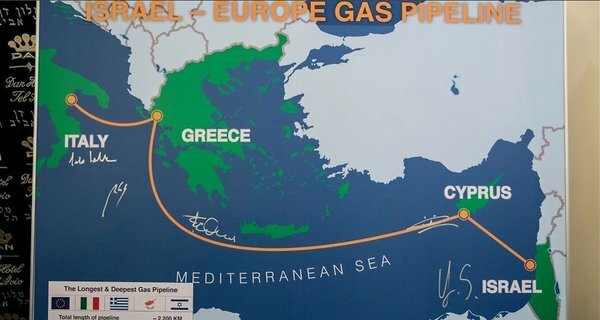 #Chypre, la #Grèce, #Israël et l’#Italie ont signé mardi un protocole d’accord pour la construction du plus long pipeline sous-marin de gaz naturel au monde pour fournir l’Europe. Long de 2.000 kilomètres, #Eastmed aura pour but de réduire la dépendance de l’UE à la Russie. Le projet devrait coûter près de 6 milliards et être inauguré en 2025. Combien de billets vous tombent entre les mains quand vous ouvrez votre portefeuille ? 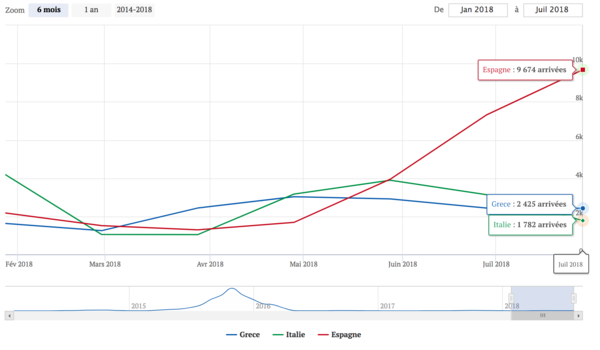 D’après les statistiques, ils devraient être relativement nombreux. Une étude menée par la Banque centrale européenne (BCE) auprès de 92 000 personnes révèle que les citoyens du Luxembourg auraient en moyenne 102 euros dans la poche. 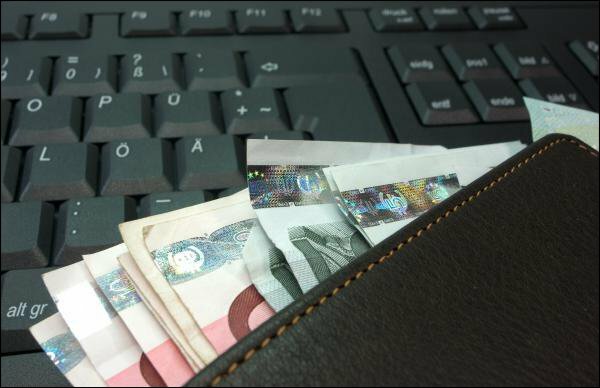 En 2016, seuls les Allemands dépassaient ce chiffre, avec 103 euros. À la troisième place figurait l’Autriche (89 euros). Les Portugais, les Français et les Lettons comptaient parmi les pays dont les habitants avaient le moins d’argent liquide sur eux, avec respectivement 29, 32 et 41 euros. En matière de paiements en liquide à la caisse dans la zone euro, les Allemands arrivent une nouvelle fois en tête. 80% des opérations effectuées dans le pays voisin sont réglées en espèces contre 92% à Malte, 88% à Chypre et 87% en Espagne. Au Luxembourg, les montants moyens versés en espèces sont les plus élevés, avec 18 euros. Le document de la BCE indique qu’il existe une disparité entre les pays « fidèles à l’argent liquide » du sud de la zone euro, avec l’Allemagne, l’Autriche et la Slovénie, d’une part, et les pays du nord, tels que la Finlande et l’Estonie, ainsi que les Pays-Bas, d’autre part. Seuls 45% des Hollandais sortent les billets et les pièces pour régler leur dû, tout comme en Estonie (48%) et en Finlande (54%). Au Luxembourg, ce chiffre s’élève à 64%. Malgré la généralisation des procédures de paiement électronique, l’argent liquide reste le moyen de paiement dominant, comme le constate la banque centrale. En moyenne dans la zone euro, 79% des transactions aux points de vente ont été effectuées en espèces, suivies de très loin par les paiements par carte avec 19%. « Cela semble remettre en question la perception selon laquelle l’argent liquide est rapidement remplacé par des méthodes de paiement électronique », déclare la BCE. Des études antérieures ont montré que les résidents étaient très nombreux à sortir la carte au restaurant. Selon des critères démographiques, les hommes sont plus enclins à régler en espèces que les femmes, tout comme les personnes âgées de plus de 40 ans. 68% des Français utilisent les pièces et billets pour régler leurs achats dans les magasins, restaurants et autres stations à essence, contre 80% des Allemands, 87% des Espagnols mais seulement 45% des Néerlandais. En valeur, les paiements en espèces représentent un peu plus de la moitié du total (54%) au sein de la zone euro, contre 39% pour les cartes bancaires et 7% pour d’autres formes de règlements. Pour la première fois depuis février 2015, des migrants passent de Turquie à la #Roumanie. 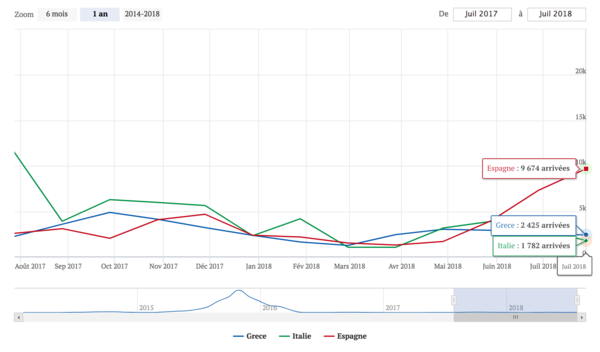 Et les arrivées à Chypre ont largement augmenté depuis début janvier. Dmitri Rybolovlev et #Donald_Trump (photomontage) © Capture d’écran de Daily Kos Le dossier de Donald Trump et de la #Russie continue d’électriser la presse américaine. 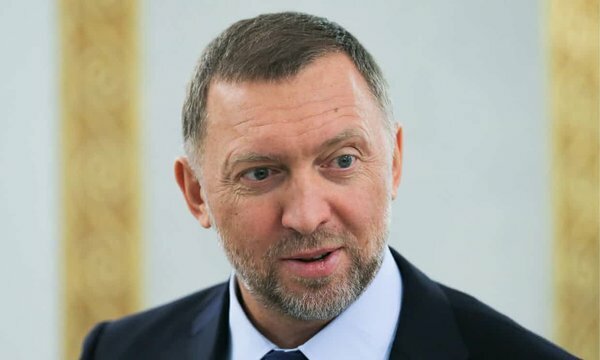 Ce sont aujourd’hui les possibles liens du milliardaire américain avec l’oligarque russe #Dmitri_Rybolovlev, patron de l’AS Monaco Football club et actionnaire de la Bank of Cyprus, qui apparaissent. Mediapart a aussi enquêté sur les contacts noués à Moscou en 2013 avec deux businessmen azéris, un acteur et un proche conseiller de Poutine. 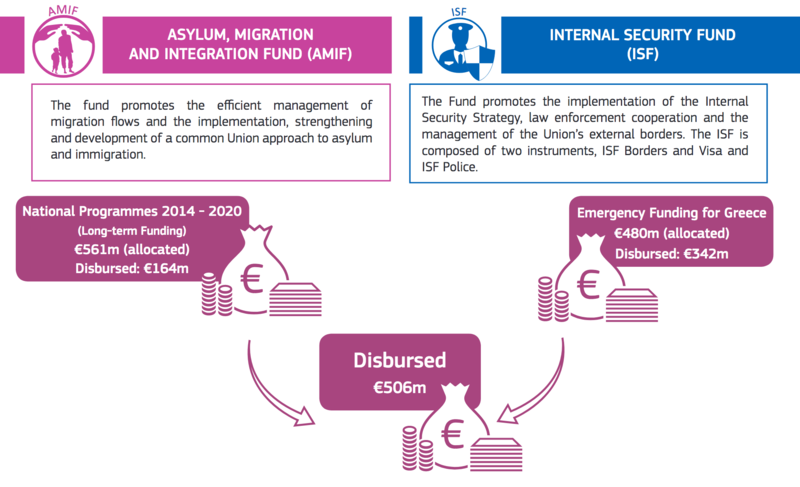 The updated Country Report on Cyprus provides a detailed analysis of the recent transposition of the recast Asylum Procedures and Reception Conditions Directives, completed in October 2016. The reform has led to substantial amendments to the Refugee Law and Legal Aid Law. 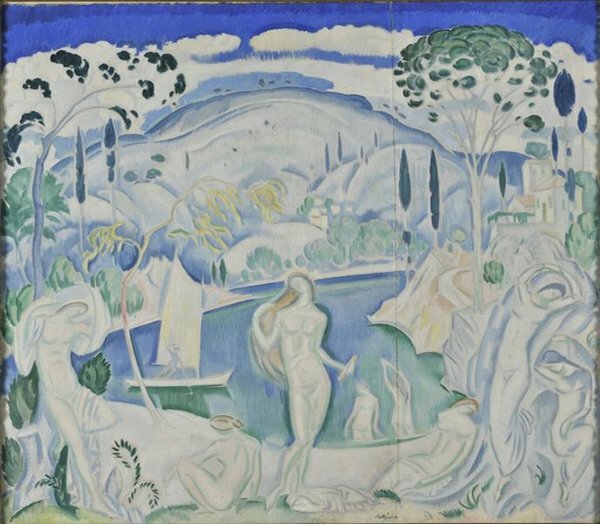 Cette année les capitales européennes de la #Culture offrent un programme particulièrement protéiforme entre Aarhus la scandinave et Paphos la méditerranéenne. En ce début d’année 2017, l’ONU a relancé les négociations pour la réunification de Chypre, coupée en deux depuis 1974. Le secrétaire général de l’ONU, Antonio Guterres, espère une solution durable mais c’est sans compter sur le poids de la #Turquie et de la Grèce, invitées à la table des négociations. 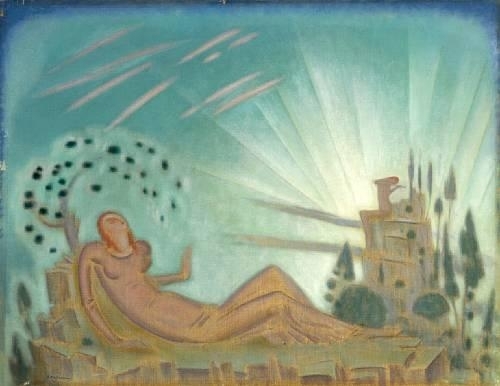 Lien transmis par Otto Simonett à Genève. Leaders of Cyprus’s ethnic Greek and Turkish communities exchanged maps outlining rival proposals for territorial boundaries on Wednesday in a groundbreaking move diplomats hope could form part of a deal ending decades of division. 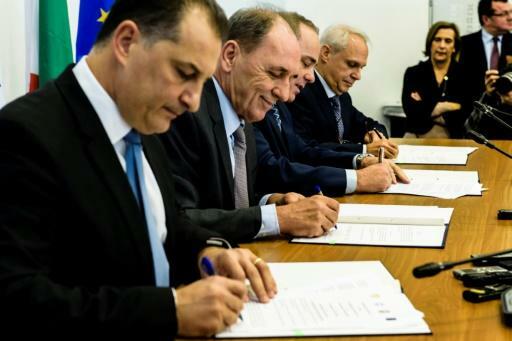 Presented, submitted and then sealed in a United Nations vault, territorial adjustments form an integral part of solving the decades-old Cyprus conflict which has kept Greece and Turkey at loggerheads and obstructs Turkey’s membership bid to the European Union. Rival sides did not disclose detail. Both maps will form the basis for more intensive discussions on defining boundaries. Niente potrebbe essere più lontano. Lugano, con il suo lago, il clima quasi mediterraneo, e l’est dell’Ucraina, tutta acciaio e carbone, dove, nel Donbass, è in corso una guerra ormai dimenticata. Eppure un invisibile filo d’acciaio collega il Ceresio a queste terre ad est del fiume Dnipro. 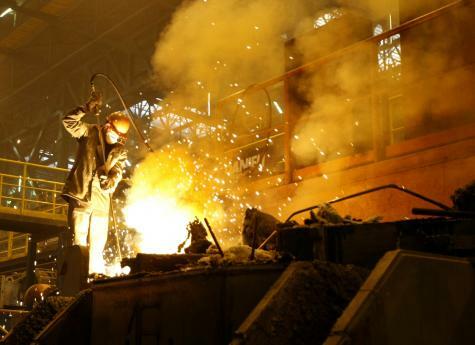 A unire le due regioni è il #trading: parte dei prodotti siderurgici lavorati tra Donetsk e Dnipro è infatti venduta sui mercati internazionali tramite numerose società di commercio basate a Lugano. 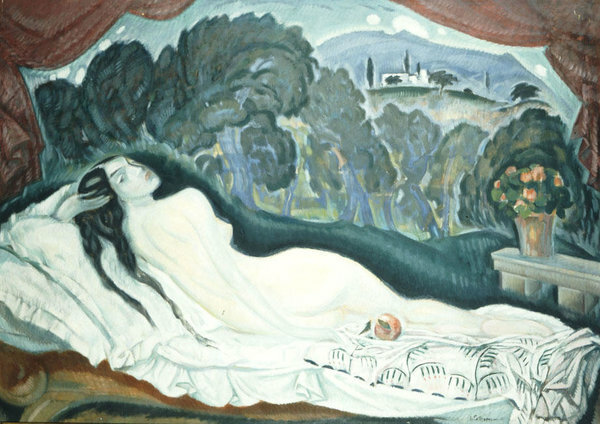 Negli ultimi anni i principali produttori ucraini e russi hanno aperto qui la loro antenna commerciale, trovando quel mix ideale tra buone condizioni quadro, savoir-faire (e credito) bancario e discrezione. 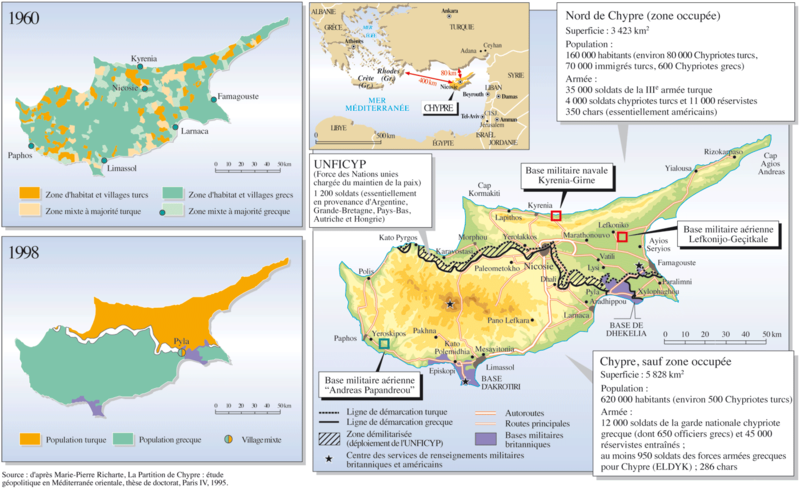 #Chypre : le chef de l’#ONU déçu de l’échec des récents pourparlers visant à réunifier l’île. Le Secrétaire général de l’ONU, Ban Ki-moon, s’est déclaré mercredi déçu de l’échec du dernier cycle de pourparlers, sous l’égide de l’ONU, entre le dirigeant chypriote turc, Mustafa Akinci, et le dirigeant chypriote grec, Nicos Anastasiades, visant à réunifier l’île de Chypre. Ces pourparlers, qui avaient pour but de parvenir à un accord sur les critères d’ajustement territorial, se sont déroulés à Mont Pèlerin, en Suisse, entre le 7 et le 11 novembre, puis les 20 et 21 novembre. L’élection, en mai 2015, de Mustafa Akinci à la tête de la partie turque, a ouvert la porte à la réconciliation nationale. Depuis, les négociations se poursuivent avec son homologue de la partie Sud, Nicos Anastasiades. Les bases du futur État ont déjà été élaborées. 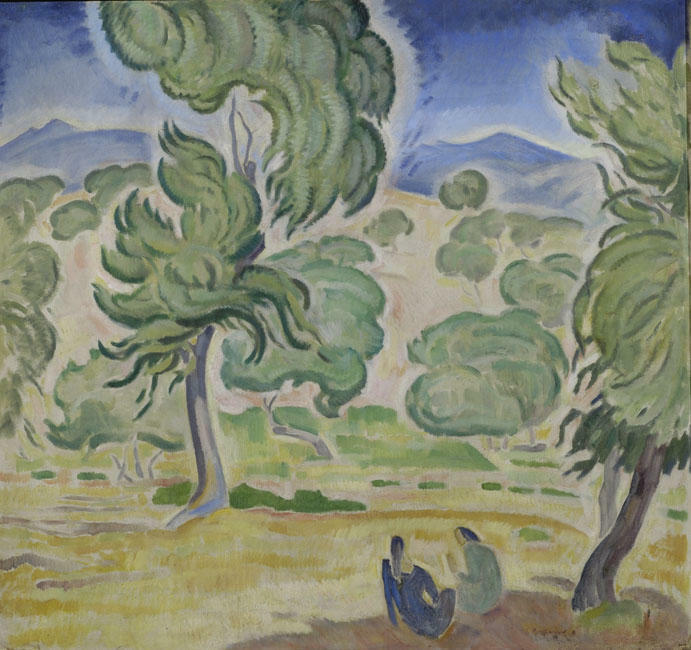 Il s’agira d’une #fédération, composée de deux entités, l’une au Nord et l’autre au Sud. 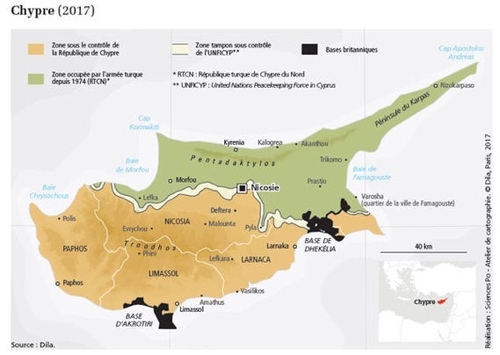 Désormais, les discussions portent sur l’épineux chapitre des échanges de territoires, et la restitution de zones du Nord aux Chypriotes grecs. P margin-bottom : 0.21cm ; A la faveur d’un décret officiel, la Turquie va conserver définitivement l’heure d’été. Une nouvelle qui réjouit les conservateurs religieux, mais inquiète les milieux économiques turcs.